DirectPHP – Embeded PHP in Joomla Content Page | Eureka! 1. Download the DirectPHP plugin and unzip the archive. 2. 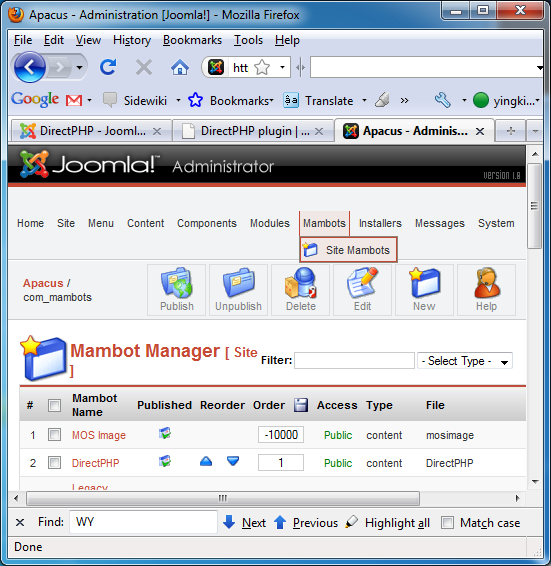 Go to Joomla Adminsitration -> Installers -> Mambots. 3. Browse the package files and then click Upload File & Install. 4. Go to Mambots -> Site Mambots and published the DirectPHP. 5. DirectPHP blocks some PHP commands such as fopen, fwrite … etc. 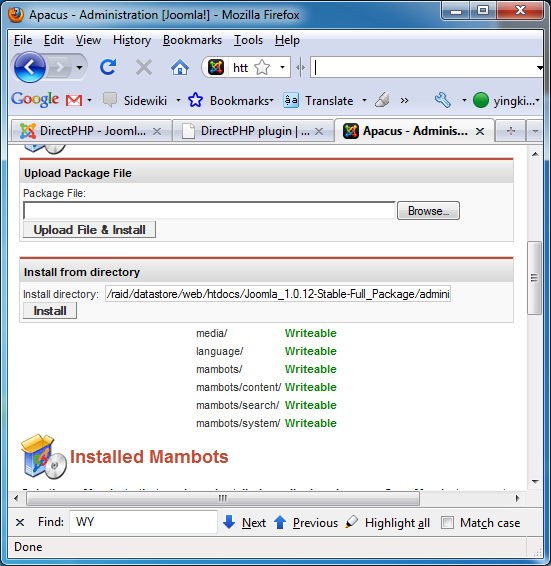 You can disable the blocking by editing the DirectPHP Mambots. 6. Try the PHP code in the content page. You can find more details about the installation and usage at php-gtk2 Cookbook – DirectPHP plugin.